We acknowledge that capacity building involves motivation and encouragement from all the stakeholders. 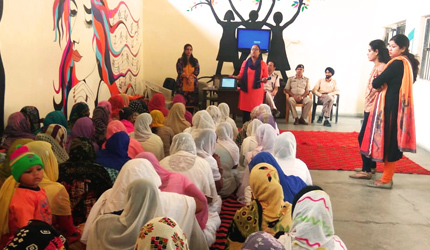 To imbibe the core principles of sustainability we conduct orientation programmes, periodic training, workshops in the diverse realms of sustainability. 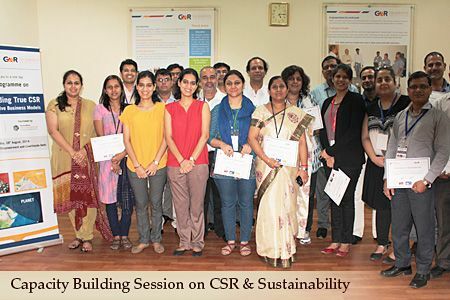 The trainings are done to widely disseminate the principles of CSR, Sustainability and to encourage the representations from diverse multi-stakeholders to practice responsible policies and procedures within their respective organizations. Introductory Training and Orientation on Corporate Sustainability. Multi partnership stakeholder model for diverse organizations. Training conducted by leading industry experts, practitioners, entrepreneurs etc. Offering Specialized Training Programmes & Courses as per the client’s needs. Conducting Online Training Programmes under the diverse areas of Sustainability. Conducting Training assessment through feedbacks, outcome reports.